Every so often, a book comes along that can only be described as a classic. The Writer’s Journey, fits into this category. In the book, Vogler outlines a mythic structure for any storyteller – whether your occupation is script-writer or business analyst. Vogler walks us through the process of connecting theme to story and then making the story come alive. 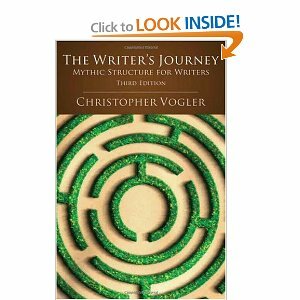 Based on Joseph Campbell’s map of the heroic journey, Vogler outlines each step along the path. The Hero’s Journey was an observation made by Campbell – that every culture on the planet has a hero myth. Names and circumstances may change, but the map remains the same. One of the greatest gifts we have as humans is our superb ability in pattern recognition. Campbell recognized the pattern, not as an abstract academic theory but as a practical model of understanding how to live a life. Vogler’s first edition came out in 1993. He updates the work on a regular basis incorporating his experience as a storyteller. His beliefs about storytelling are tested in one of the toughest arenas on earth – Hollywood. This work gives you a form – a framework for development. Your ability as a communicator is tested in how you execute the pattern. The piece most often ignored in the Heroic Journey is the part where the Hero MUST share the new knowledge – what Campbell called the ‘boon’ – with the tribe. To truly complete the Hero Journey is not just to obtain the knowledge and survive the Journey; but bring it home for all to benefit. Men and women may experience the Journey differently, but again the goal is the same. Truly the original meaning of sustainability – the Journey is not about the individual but the survival of the tribe. This entry was posted in Corporate Storytelling, creativity, jungian psychology, Storytelling. Bookmark the permalink.